Microwave Backhaul has been a highly embraced approach to wireless deployment for decades and the discipline is one of Wireless Applications, Corp.&apos;s most successful solutions to date. Our knowledge base and software capabilities in microwave to the level of being one of the most desirable solutions in the wireless engineering space. SiteSync Pro and our engineering services provide a simplistic process, while producing highly accurate results for our client base. Confirm Fresnel clearance via our array of high-resolution terrain modeling. Engineer to exact radio and antenna specifications from the top players in the vendor space, and obtain link budgets that are derived from the most traditionally-accepted modeling in the industry. Our clients have become some of the most dynamic and innovative competitors in wireless. SiteSync Pro continues to be a top choice amongst experienced engineers focused in microwave backhaul for nearly 20 years. 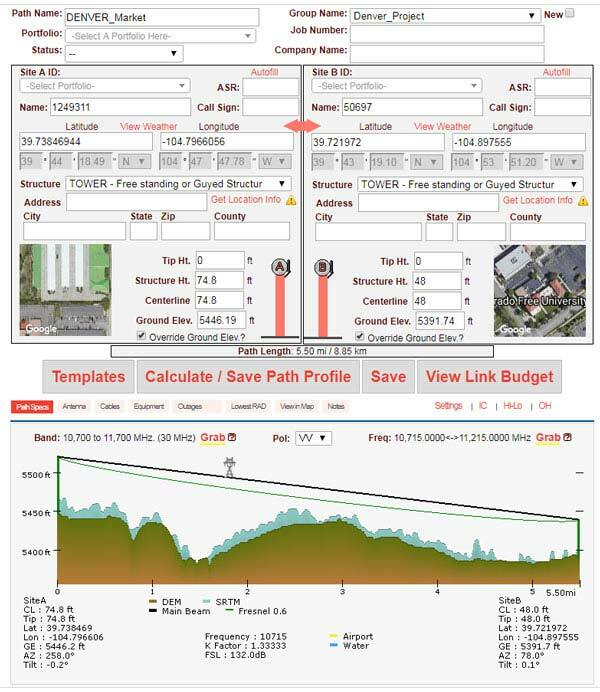 SiteSync Pro brings the most innovative approach and procedure to designing and engineering microwave, and continues to be refined to address the most critical needs of the user &dash; capacity, network connectivity, and resilient performance. Capabilities For Point-to-Point, Point-To-MultiPoint, Network Optimization, & Low-Latency Networks. 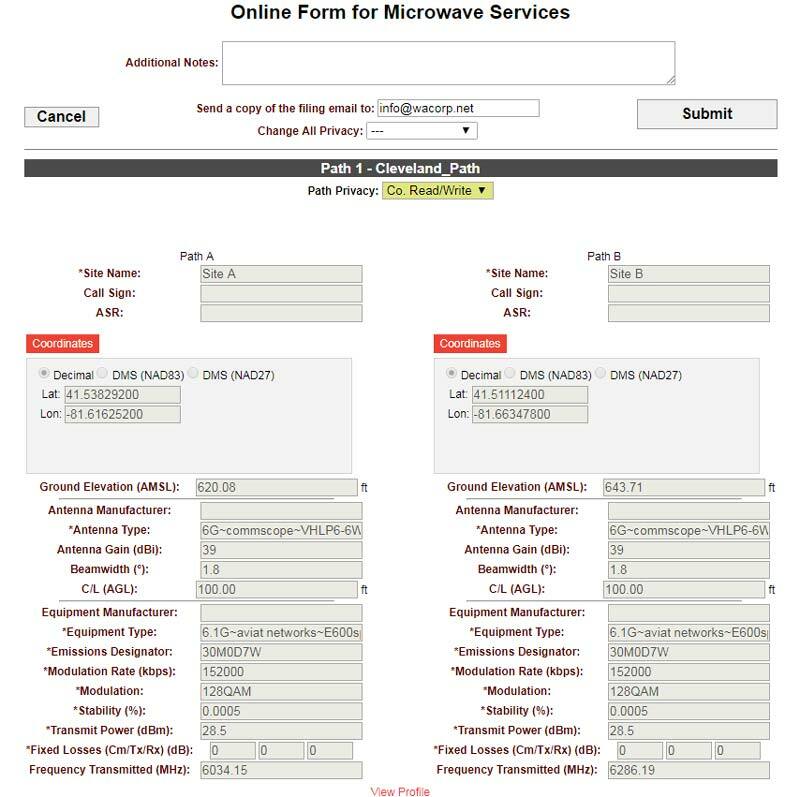 Partner with Wireless Applications, Corp. to perform your microwave engineering and coordination requests. We care about what is most critical for you and how we can make it happen. Upon receiving your request, we recommend scheduling an initial consultation with you to better understand your needs and requirements &dash; whether that be for an individual microwave path or the longevity of your network buildout. From there, our Engineering and Project Management team works in tandem with you via SiteSync Pro to communicate potential critical information related to your path(s), variables to consider, and also alert you to timelines and deadlines related to your buildout schedule. In working together, we provide confidence to the client that through our end-to-end service will provide not only a deliverable for the current request, but also a reassurance that Wireless Applications, Corp. will work with the client to continue to keep the integrity of the network as its highest priority for the lifetime of the business relationship. Consult with the client about specific requirements for the project and/or analysis.